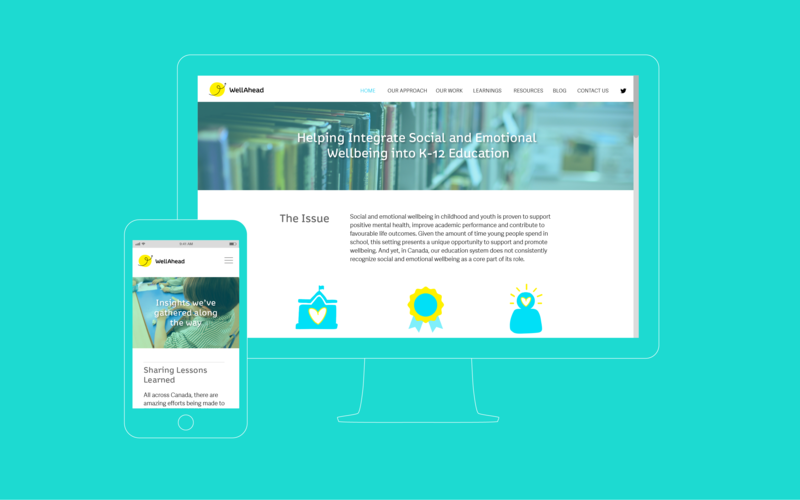 WellAhead is an initiative of the McConnell Foundation to improve child and youth mental health by integrating social and emotional wellbeing into K-12 education across Canada. 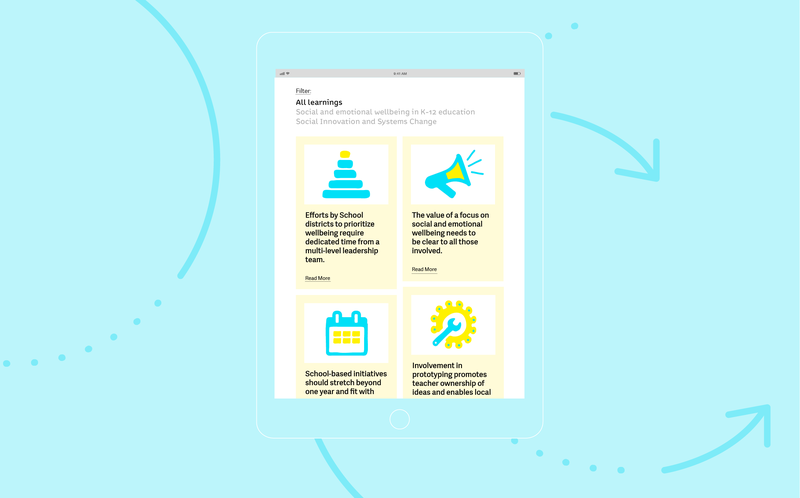 WellAhead enables students, teachers, parents, and organizations to test ideas for everyday wellbeing practices in schools. 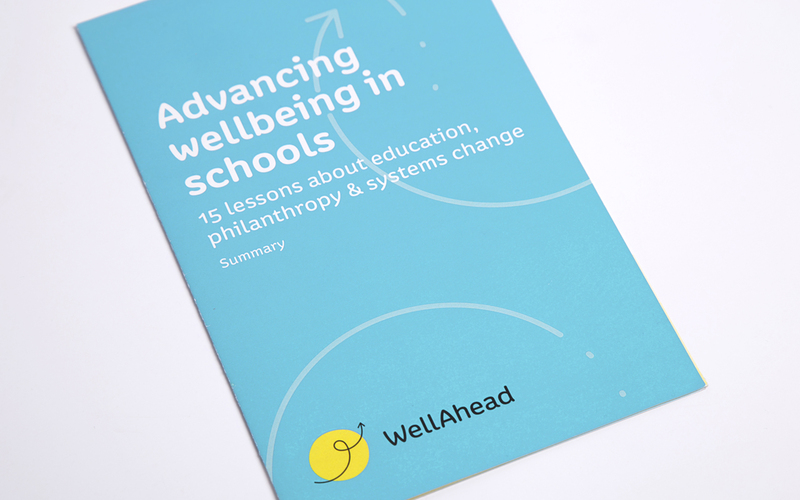 It focuses on long-term change – shifting culture, structures, and practices of schools and the education system at-large to better incorporate social and emotional wellbeing as a key priority. 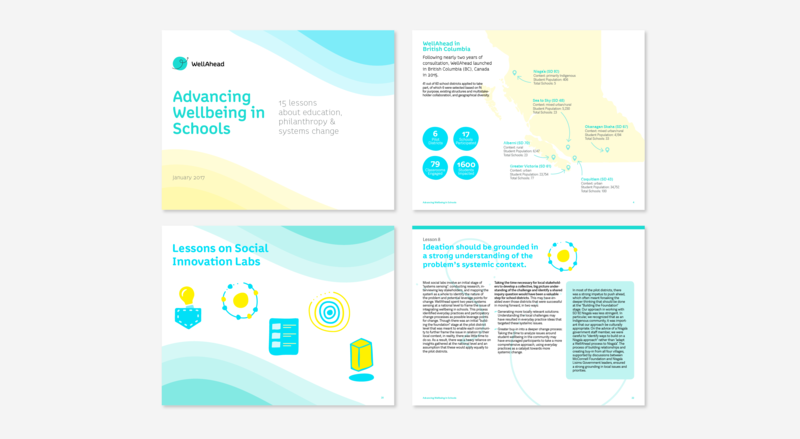 We worked with the McConnell Foundation and MaRS Solutions Lab to shape the communications strategy for the previously unnamed initiative, leading branding and naming workshops with stakeholders, eventually landing on “WellAhead” and then designing a visual identity system. 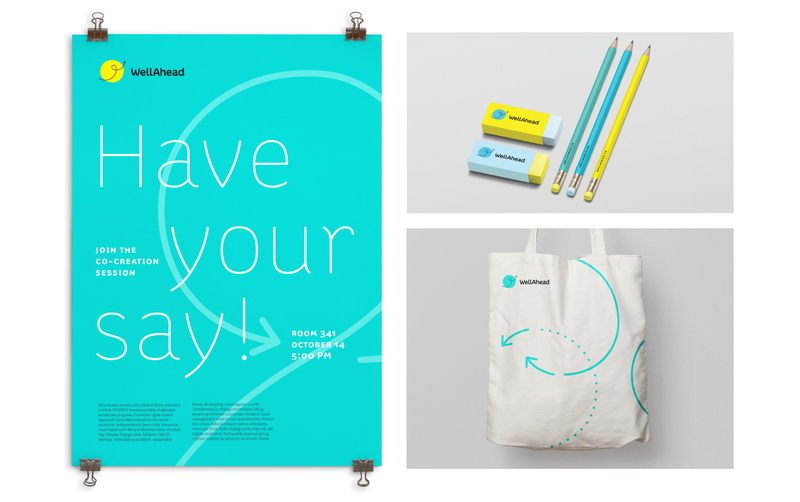 The name and identity express the initiative’s empowering tone, experimental process, and the imperfect journey toward good mental health. 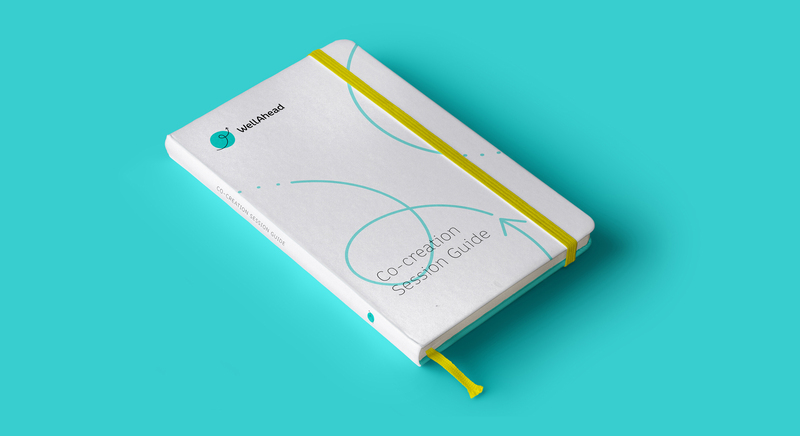 From there, we created a website that introduces the initiative’s unique approach and provides a user-friendly collection of resources. 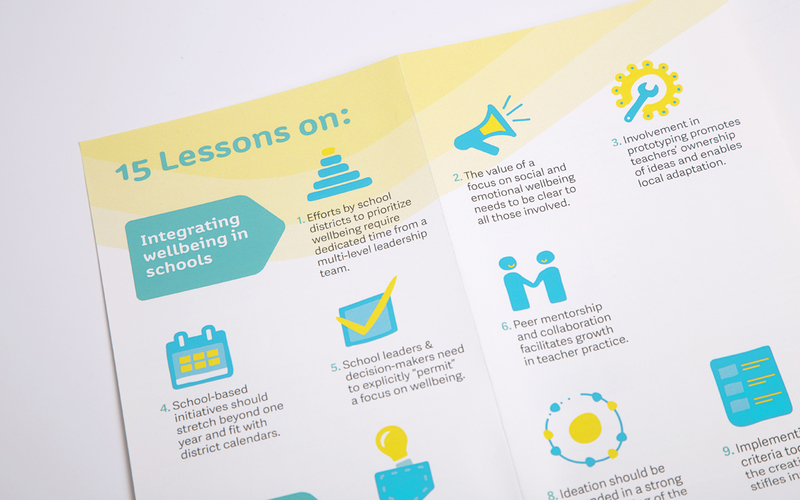 One year after WellAhead launched in British Columbia, we produced a report and fold-out poster to share 15 lessons learned for advancing wellbeing in schools. 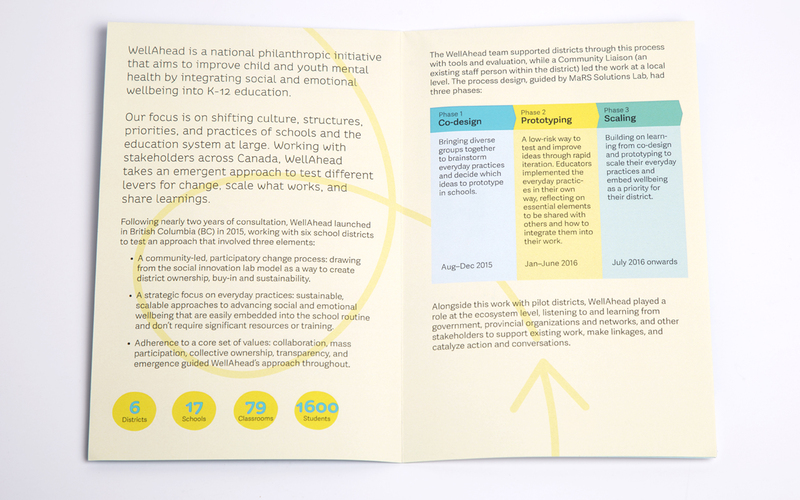 WellAhead is now scaling the everyday wellbeing practices that work into more Canadian provinces. 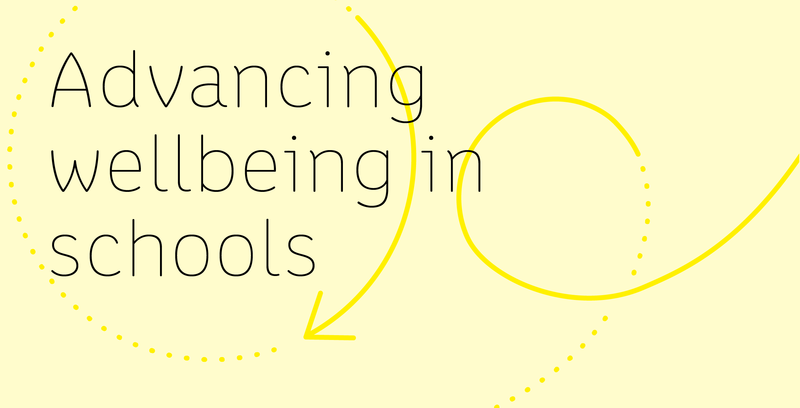 It is also funding grants to support groups striving for long-term improvements to student wellbeing, such as integration of cultural programs in Indigenous schools. 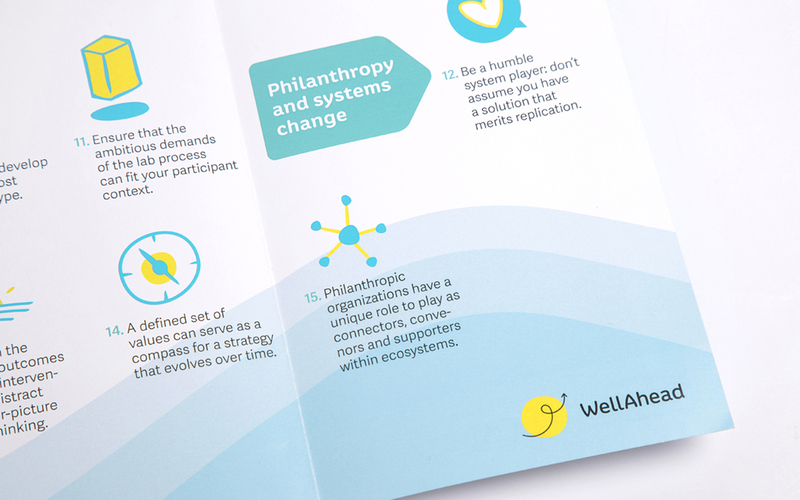 At each phase, WellAhead has benefited from a strong suite of branded communication tools to articulate its important work and invite others to help make systemic change.